I’ve heard people joke about intentionally “pulling the goalie” and trapping their spouse by getting pregnant. However, I always thought that is was just that — a joke. 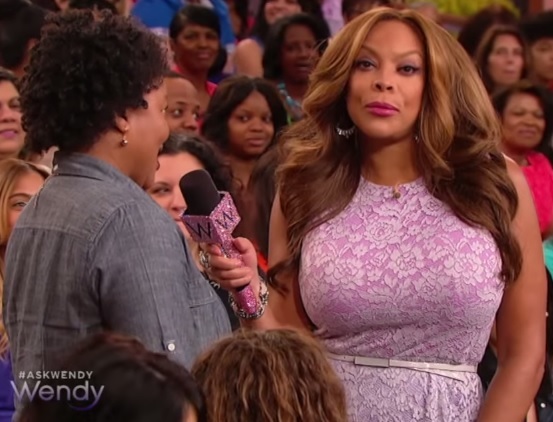 Wendy Williams, on the other hand, thinks that it is perfectly fine to deceive your significant other and trick them into becoming a father. Using the basis that a woman controls her own body, Williams was answering questions from the audience when one member stood up and claimed that her husband of six years promised her two children but now is content with just one. She said her friends think she should stop taking her birth control to trick her husband and wondered if that was bad. Williams wasn’t the only one who agreed with her as the entire audience gave a roaring round of applause. Williams made the comment that a woman controls her body and she is absolutely right. However, the decision to have another child needs to be mutually agreed upon by both partners. Duh? ALSO, She just had a baby NINE MONTHS ago and is already scheming to get preggers again? Jesus Christ lady, how about letting the dust settle and giving your husband a break. Of course he says he only wants one child right now, it’s probably been a hard adjustment. Give him a couple years to decide for sure. All behind her back, of course.